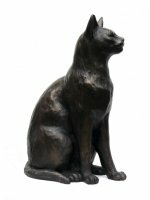 Oriental Ben was originally intended as a private commission but his owner has kindly consented to his inclusion in the limited edition range. 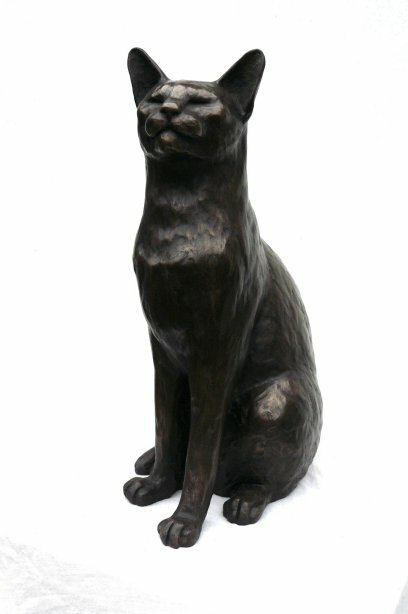 Ben is a particularly elegant and handsome Oriental Tabby and my thanks go to Mr. Lister not only for his generosity in allowing the sculpture to be shared with fellow cat lovers but also for the huge number of excellent photographs and measurements supplied. 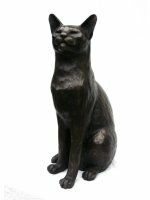 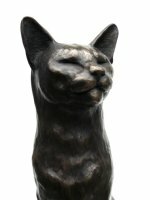 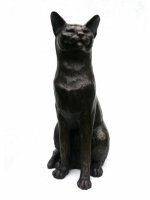 Oriental Ben cat sculpture is a limited edition of 500 and is made entirely by hand in high quality cold cast bronze by cat artist and sculptor Peter Close in his studio in Somerset.